Encircling the entire city of Minneapolis, this 55-mile urban loop, composed of 7 interconnected sections, takes you through some of Minneapolis’ most vibrant neighborhoods. In the spring of 2011, cyclists across the nation were shocked to hear that Minneapolis won most bike-friendly city in the USA. Probably due to the fact that the Midwest is famous for their frigid blizzards, no wonder people were surprised. Sure, Minneapolis may not have trails that follow the ocean or mountain paths, but what we do have is quite exceptional. Thanks to the vision of Horace W. S. Cleveland, the head of Minneapolis Park and Recreation 120 years ago, he set aside thousands of acres of land to be preserved for urban parks and The Grand Rounds. Due to his early investment, The Grand Rounds has become one of America’s most important urban scenic byways. The most popular section is the Chain of Lakes loop. Encircling four lakes with well-paved bike paths, beautiful lakeshore views, and nearby good-eats; this section of the byway is perfect for a few hours of cycling. Often, you will see families biking the Chain of Lakes and stopping at the Lake Harriet bandshell for ice cream. South of the Chain of Lakes, wind your way along the quiet Minnehaha creek. During the spring, flowers bloom along the parkway and when fall arrives the deciduous trees turn the Minnehaha district into a rainbow of vibrant yellows, oranges, and reds. Until you reach Minnehaha Falls, the trail is very quiet and only crosses road traffic once or twice. So, enjoy the peaceful ride along the sleepy Minnehaha Creek. If you are feeling peckish, Sea Salt Eatery is a popular destination that is a stone’s throw away from Minnehaha Falls. Once you are satisfied, pedal east until you reach the Mississippi River district. Appreciate the dramatic vistas that are dotted along the path. 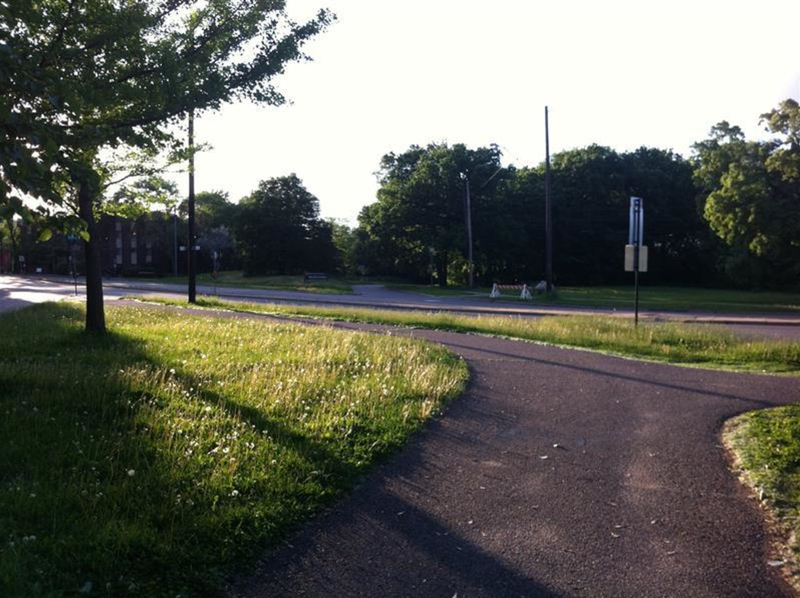 If your quads are getting tired, but you still want to get an aerobic workout, look for signs for the Winchell Trail. Parallel to the parkway, this ancient Native American path weaves between rocky bluffs and dead ends at a secret beach. The Downtown Riverfront is the next section and takes you through Minneapolis’ Mill District. Within the area, there are world-renowned theaters, well-reviewed restaurants, and beautiful views of the Minneapolis cityscape. Veer off the scenic byway at The Stone Arch Bridge to get great views of St. Anthony Falls and the city of Minneapolis. If you want to be adventurous, go a little off the beaten path to the Northeast byway district. You have to exit the byway and take city streets for a mile or two, but it is well worth it. In this district you see old factory buildings converted into classy art studios and apartment complexes. If you’re hankering for some good cheap coffee, Empire Coffee is just off the Scenic Byway on Stinson Parkway. Follow St. Anthony Parkway across 42nd Avenue Bridge and enter the Victory Memorial district. The byway tours the historical Victory Memorial Highway. For 3 miles, there are rows of trees that offer shade for the weary bicyclists and halfway along the trail there is a large memorial that commemorates the Hennepin County servicemen of WW1. Theodore Wirth byway district is by far the most naturally beautiful section of the whole Grand Rounds. The largest regional park in Minneapolis, Theodore Wirth Park features thousands of wildflower species and likely wildlife encounters. All of this and more are easily accessible from the Grand Rounds National Scenic Byway. 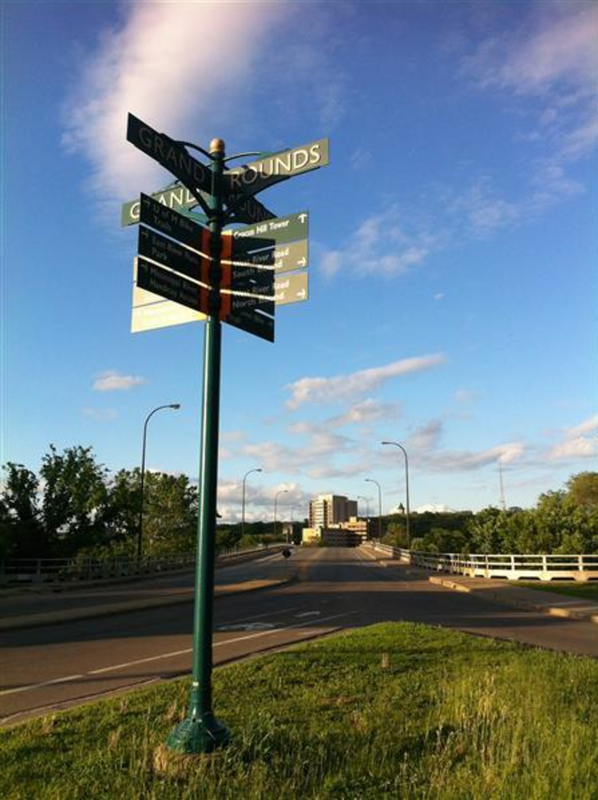 For Twin Citizens wanting to see a new part of town, The Grand Rounds National Scenic Byway offers miles upon miles of trails through Minneapolis coolest neighborhoods. 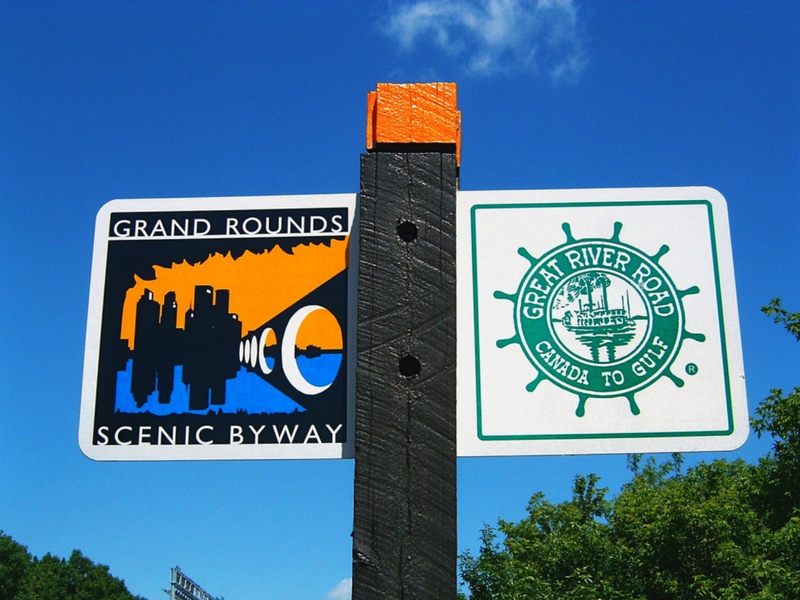 The Grand Rounds takes you through 7 districts: the Chain of Lakes, Minnehaha, The Mississippi River, Downtown Riverfront, Northeast, Victory Memorial, and Theodore Wirth Park. Some cyclists commit a whole day riding the total 55-mile loop, but for most urban riders, they explore a district at a time. Parking is pretty easy. All you have to do is park in the neighborhood streets that border the trail entrances. There is free parking all along Lake Calhoun as well. The Grand Rounds is open day and night, but it is important to note that some of the sections are less developed. This means some of its sections are not well lit. Though there are bike patrols, still plan accordingly before bicycling late at night.